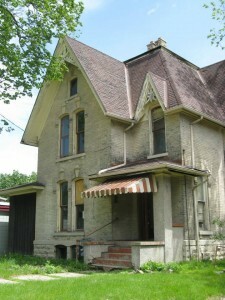 Michael Kelleher House | Waukesha Preservation Alliance, Inc. The Michael Kelleher House, which is listed on the National Register of Historic Places, is an excellent example of the Gothic Revival Style. Kathy Shea and Mary Emery have been researching the history. 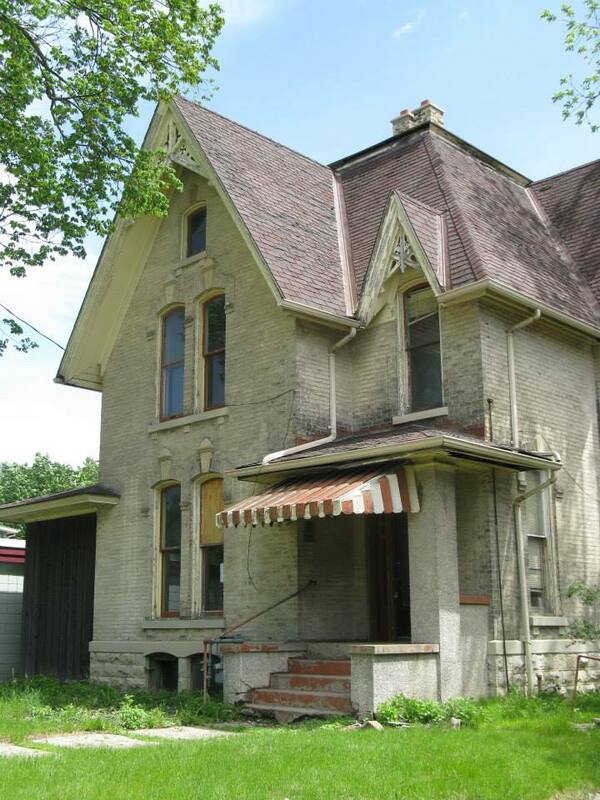 The home which is in the Cutler and Dakin’s subdivision of Waukesha, was built in 1879 for Michael Kelleher. He was a clothing merchant here in Waukesha. In 1883 the Michael and Catherine Kelleher sell the property to Dr. Margaret Caldwell. We found a hand written note from a later occupant of the house stating that Dr. Caldwell used the house as a hospital. This story is not substantiated and may or may not be true. We do know that Dr. Caldwell used it as a rental property after 1900. In 1907, Margaret Caldwell sells the house to Annie Angevine. Annie lives in the house with her daughter Laverne Boyd. Annie dies in April, 1923 and Laverne continues to live in the house. About 1927, Laverne Boyd marries Killian Weber who becomes the president of Weber Brewing. Killian dies in the 1940’s, but Laverne continues to live here until her death in the 1960’s. After that Robert Wulf, a CPA, buys the property and uses it for his business. In the 1980’s the building housed Style Graphics Printing, then Hendrickson Photography Studio. The home is currently in foreclosure. For more photos, please view our gallery on our Facebook page. 01-09-14 UPDATE: This Michael Kelleher House house has officially been sold.